Taiwan's LED makers predicted to see rosier times this year. Uni-President Securities Group's investment arm estimates in 2014 Taiwan's LED makers to see revenue from backlight sales rise to the levels set in 2011 and recover their share of LED lighting market from Chinese competitors by offering better quality. The institution points out that in the first quarter of this year LED backlight market grew slightly, mostly driven by applications in mobile devices and onboard display systems. It feels that Taiwan's LED makers will post excellent sales in backlight this year after having recovered some backlight orders once lost to China's manufacturers by offering reliable quality. The island's LED-lighting makers look to the hefty 86% year-on-year growth forecast for 2014's LED bulb market. In terms of revenue, this year the island's LED industry is not likely to return to profitless levels of 2012 because more second-tier suppliers will be sidelined or merge with others. 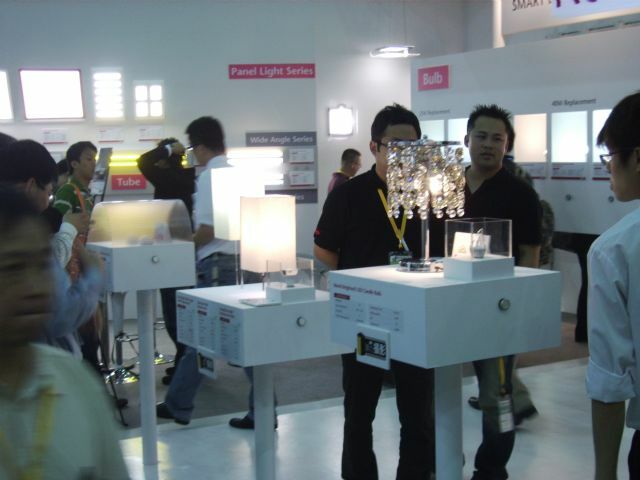 Profit-wise Taiwan's LED industry definitely bottomed in 2012. All of the island's LED packagers netted profit in the following year and will continue making money this year thanks to increased profit in LED lighting. The packagers include Everlight Electronics Co., Ltd., Lextar Electronics Corp., Unity Opto Technology Co., Ltd., and Edison Opto Corp. The investment unit ascribes the profit downturn of 2012 mostly to underselling competition triggered by oversupply and slower growth of LED lighting market than expected. In that year, China's LED makers engaged in wild production expansion but were caught by weaker-than-expected market for electronic appliances that use LED backlights, such as LCD TVs. In 2013, the LED market rebounded because of closures of some suppliers mired in financial woes and accelerated market penetration of LED lighting thanks to previous price collapses. The investment unit is watching two developments to evaluate the island's LED industry this year: the backlight market and reckless competition. It notes that LED will completely replace cold cathode fluorescent lamp (CCFL) this year as backlight of LCD TVs, an increase from 95% in 2013, when China's leading TV makers had vigorously promoted LED-lit TVs.